Lighthouse's Young Writers Workshops are designed to foster creativity, self-expression, and excitement about writing. There are no grades here, just the stories. We offer workshops at Lighthouse including afterschool and weekend workshops, the Young Authors Collective, and summer camps, as well as youth outreach in schools, at juvenile residential treatment centers, and in collaboration with other arts organizations. For the latest on workshops and events, sign up for our Young Writers Program e-newsletter. Lighthouse accepts kids and teens ages 8 through 18. 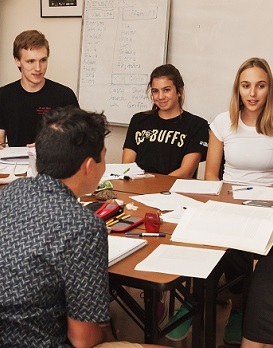 In-house workshops are limited to 12 students, which allows for plenty of individual attention and helps members feel comfortable exploring their own writing. Our hope is that students leave the workshop with more trust in their voice, confidence in their language, and happy anticipation about the stories they have yet to write. 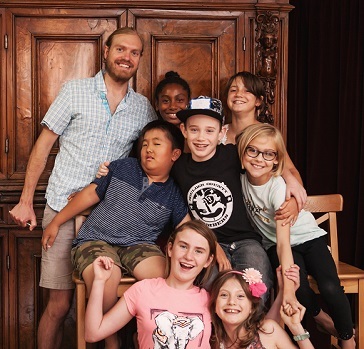 Lighthouse connects kids and teens to words, new friends, and a writing community. We offer workshops in poetry, fiction, nonfiction, playwriting, screenwriting, and many other genres and topics. Our classes are taught by published authors and are designed to foster creativity, self-expression, and excitement about writing. 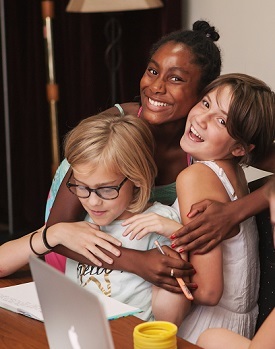 Lighthouse's Young Writers Camps are led by published and award-winning writers, and each workshop is designed to foster creativity, self-expression, and excitement about writing in young writers aged 8 to 18. Registration for half-day camp and applications for full-day camp will open on January 1, 2019. The Young Writers Program offers creative writing workshops in public and private schools as well as juvenile residential treatment centers throughout the Denver metro area. Led by working, published writers with a passion for sharing their craft, our outreach workshops provide access to our innovative creative writing programming for young people who cannot come to Lighthouse. The Young Authors Collective, or YAC, is a group of talented, word-obsessed high school writers dedicated to experimenting with new creative forms, collaborating with other arts organizations, and writing a ton. We meet once a week at Lighthouse to generate new pieces, give friendly feedback, and work towards publication. Our Future Scribes Depend on Your Support. Nearly all of the workshops and projects that will engage 2,300 students this year are free to attend, and for the sessions that do have tuition, such as summer writing camp, financial aid is available for any student who needs it. We want all young people who want to write to be able to do so and for them to be nurtured by the best instructors and mentors available. This only happens with the support of generous donors like you.